Our Model Carrier System is designed to protect your models during transport as well as in storage. 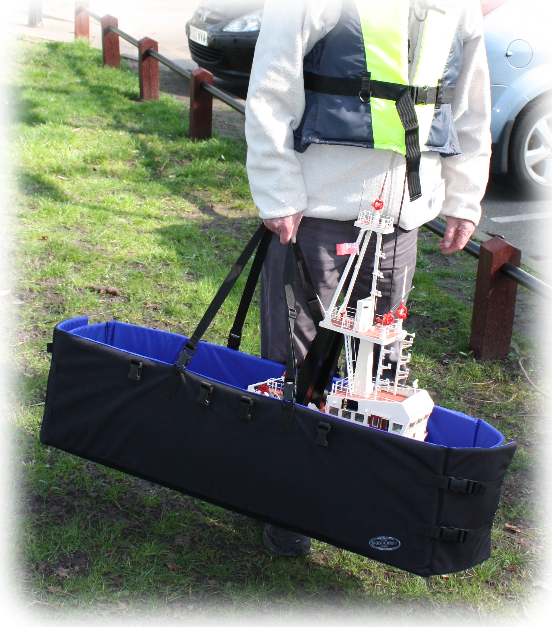 The System makes carrying your models and all the equipment easier on club days, or when you just want to run down to the park for a quick practice session. Sturdy construction. So no scrimping on the quality of materials in our carriers. A cheap, weak carrier will not save you anything, and may cost you a lot of money in the long run. Our carriers are strong enough to carry anything you can fit in them. Ease of transport. This means properly designed and located handles or straps are needed to make carrying models an easy task. Ease of use. It should be easy to get the model into the carrier, easy to fasten the carrier around the model and easy to adjust the fit of the carrier to the model. Provide proper protection. Also keeping the model under control is a must; a loose model bouncing around inside a vehicle will get damaged and can become a deadly weapon if you need to make a panic stop! Good looks. OK, so this isn’t necessarily a requirement for everyone. 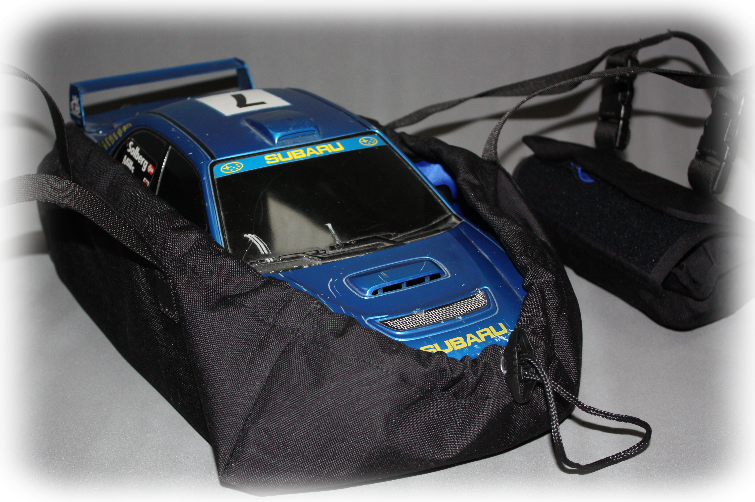 But hey, you spend a lot of money making your model look good, why put it in a crummy looking carrier? And if you really want to go top-shelf, adding a boat cover will provide the ultimate in protection for your boat's finish. So don't be too quick to trivialize this important piece of hardware! After all, it is a necessary piece of equipment to protect your model, which, if not designed and constructed properly, could mean damage to your model, transport vehicle, or worse – spectators! All our Carriers are adjustable and flexible in the sizes of models they can carry, either by the adjustable fastenings or add-on pieces; so they can accommodate a range of models and there is less of a chance you will have to buy a new carrier when you get that new model. 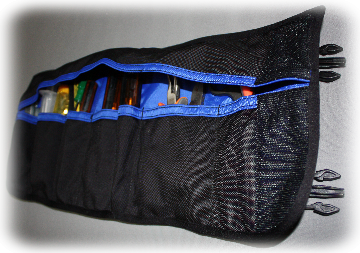 The pouches, accessories and carrying straps in the system are interchangeable across the range, and at the moment there is no comparable interchangeable system on the market. Don’t confuse our products with cheap imported ones, ours are manufactured to the highest standard in our UK factory using only high quality materials to ensure whatever lets you down our products won’t. 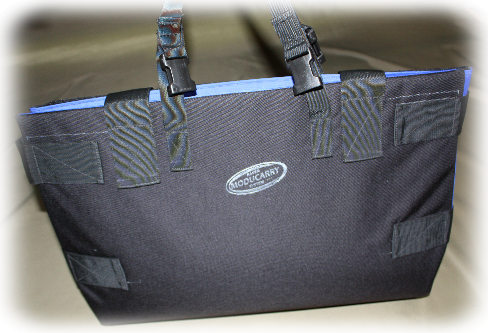 We believe you cannot get higher quality or more durable model carriers. 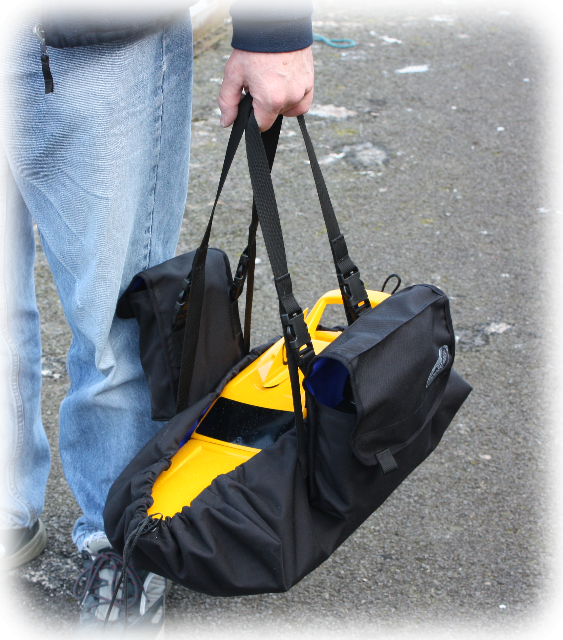 The carriers and pouches can take whatever you throw into them without the seams splitting or the handles coming off because we only use heavy duty, military spec materials and threads in the construction for strength and resistance to abrasion and rips, ensuring a long, reliable life. Unfortunately this quality doesn't come cheap, and as the old adage goes, 'you only get what you pay for'. In fact we use the same materials in our range of military kit that many serving soldiers choose to replace their MOD issued kit. They trust with their lives that our kit won't fail them in the harsh conditions they face during action in various current theatres of operation around the world. How durable is the CORDURA we use for our outer material? Well, ounce for ounce, according to the maker's literature, it has a superior strength-to-weight ratio over most fabrics on the market, it 10 times more durable than cotton duck, three times more durable than standard polyester, and twice as durable as the standard nylon most other manufacturers of modelling equipment use. CORDURA is well known for its long-lasting durability and resistance to abrasions, a fact that means it has replaced leather in a lot of motorbike clothing. So you can rest assured that whatever model you throw at one of our products it will be able to cope without the seams bursting.